Daniel Koppen (born September 12, 1979) is a former NFL American football center. He played college football for Boston College, and was drafted by the New England Patriots in the fifth round of the 2003 NFL Draft. Koppen was born in Dubuque, Iowa to Kathy and Mike Koppen, but attended Whitehall High School in Whitehall Township, Pennsylvania, in the Lehigh Valley under the leadership of Coach Tony Cocca. The school was one of 11 high schools in the highly regarded East Penn Conference (now known as the 12-school Lehigh Valley Conference), a high school league that has produced a number of NCAA and NFL football players. At Whitehall, Koppen was a three-sport athlete, lettering in football, basketball, and track and field. As a junior in football, he was a second-team all-conference selection as an offensive lineman and defensive end. As a senior, he earned all-area, All-East Penn Conference, and all-state honors, and was named the Defensive MVP in the 1997 Kaylee Rotary Bowl. He was also a Prep Star All-American and a Big 33 selection in 1998, his senior season, recording 10 sacks on defense and scoring eight touchdowns on offense. He played in the 1998 McDonald's Lehigh Valley All-Star Classic. Koppen attended Boston College, where he was a three-year starter at center for the Boston College Eagles football team. After spending his freshman season in 1999 as a reserve, Koppen closed out his 2000 sophomore season with second-team All-Big East Conference honors. He was named to the Rimington Trophy watch list in 2001, starting every game at center and was named a second-team All-Big East selection again. As a senior in 2002, Koppen was a finalist for the Rimington Trophy and received second-team All-Big East honors for the third straight season. Koppen entered the 2003 NFL Draft following college and was selected by the New England Patriots in the fifth round with the 164th overall choice. Koppen entered the 2003 season as the backup to Pro Bowl center Damien Woody; however, Woody missed Week 2 with an injury, giving an opportunity for Koppen to start his first NFL game. Woody returned the next week, but a season-ending injury to starting guard Mike Compton allowed Woody to slide to the guard position and Koppen to start the remainder of the season at center, including the Patriots' Super Bowl XXXVIII win over the Carolina Panthers. Following the season, Woody signed with the Detroit Lions, leaving Koppen as the Patriots' starting center. Koppen started all 16 games for the Patriots in 2004, earning his second Super Bowl ring in as many seasons with the Patriots' victory over the Philadelphia Eagles in Super Bowl XXXIX. After starting the first nine games, Koppen's 2005 season was derailed by a shoulder injury suffered in a November 13 game against the Miami Dolphins. He was placed on injured reserve following the game. In the 2006 season, Koppen returned to his role as the Patriots' starting center. On October 12, 2006, the Patriots announced that they had signed Koppen to a five-year, $20 million contract extension. He finished the year with all 16 starts, allowing two sacks and only committing two penalties all year. In 2007, Koppen missed one game due to a foot injury, but managed to start the other 15 games, not allowing a single sack and helping the Patriots to get to Super Bowl XLII. He was selected as a starter to the 2008 Pro Bowl, his first appearance in the game. Koppen proceeded to start all 16 games for the next two seasons. In the 2009 season he was a member of an offensive line that allowed the fewest sacks (18) by a Patriots offensive line since the NFL moved to a 16-game schedule in 1978. Koppen was named to the Patriots' 2000s all-decade team in 2010. The following season, Koppen started all 16 games for the Patriots. Koppen fractured his ankle during the Week 1 matchup of the 2011 season against the Miami Dolphins. On September 21, he was placed on injured reserve. Koppen was released during final cuts prior to the 2012 season on August 31, 2012. On September 10, 2012, Koppen agreed to a 1-year deal with the Denver Broncos. On July 28, 2013, Koppen suffered a torn ACL during training camp and missed the entire 2013 season. ↑ Pasquarelli, Len (2006-10-12). "Patriots reward center Koppen with five-year extension". ESPN.com. Retrieved 2008-01-26. ↑ Malloy, Daniel (2007-08-08). "Calls a snap for Koppen". The Boston Globe. Retrieved 2010-06-18. ↑ Pepin, Matt (August 31, 2012). "Patriots cuts finalized: Hoyer, Branch, Koppen released". The Boston Globe. Boston: NYTC. ISSN 0743-1791. Retrieved July 23, 2014. ↑ MikeReiss (September 10, 2012). "Former Patriots center Dan Koppen agrees to terms on 1-year deal with Broncos, source says". Twitter. Retrieved July 23, 2014. 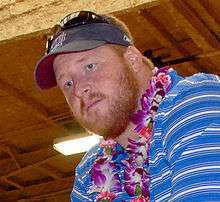 ↑ "Former Patriot Dan Koppen joins Hendricken staff". providencejournal.com. Retrieved February 28, 2014.